We went for a short trip to Edinburgh [Scotland] for Ramadhan festival holidays. On a day trip to Glasgow we saw the Burell collection-the exhibits were the personal collection of William Burell. 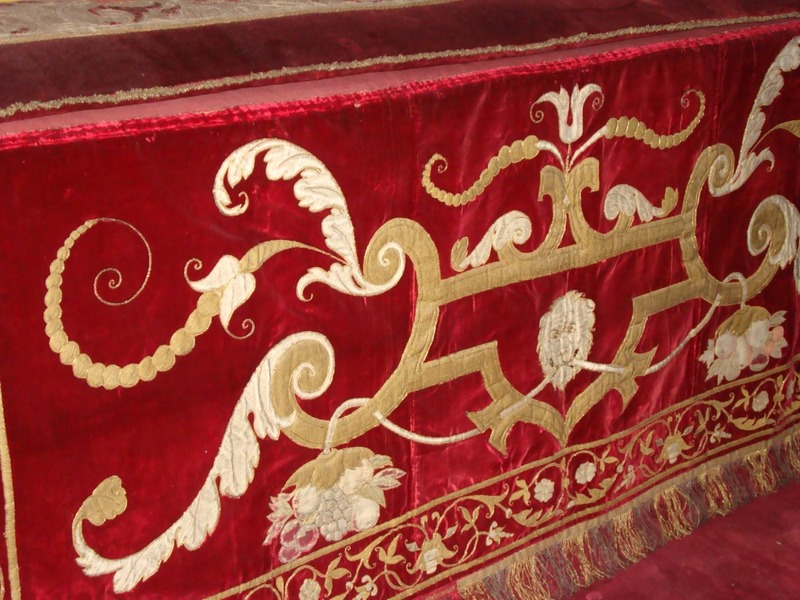 Embroidery in silk thread and applique work is combined to create this beautiful velvet spread. 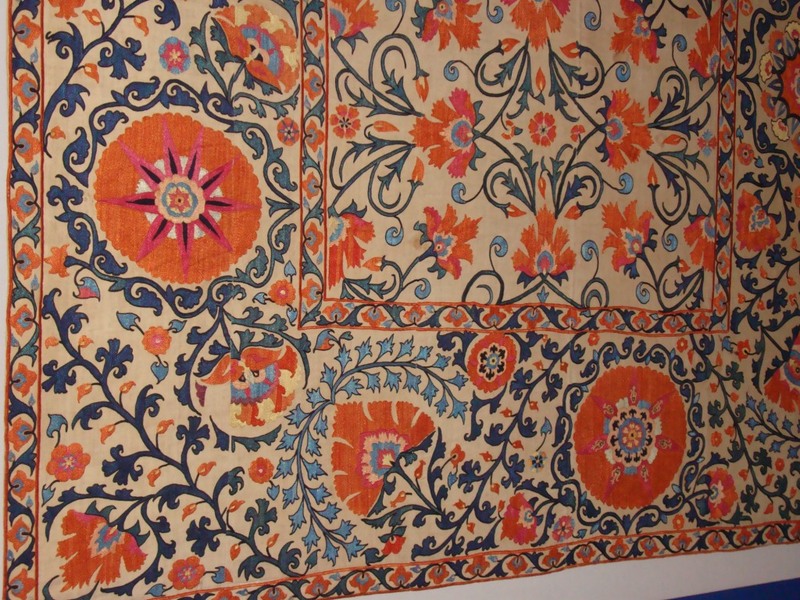 This is a wall hanging done in Suzani embroidery. Chain stitches are worked on cream silk fabric. I first learnt of this type of work during the Muscat festival- where artisans from various countries had participated. 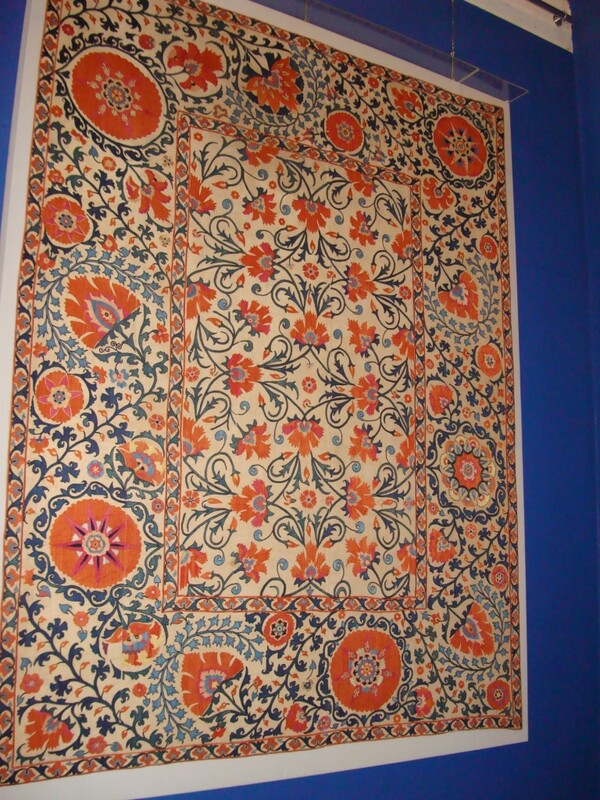 There were several wall hangings worked with Suzani embroidery. Couldn’t take pictures because I forgot to take the camera. Then browsed on the net and learnt some aspects of this embroidery. The work is very similar to Kashmiri embroidery. 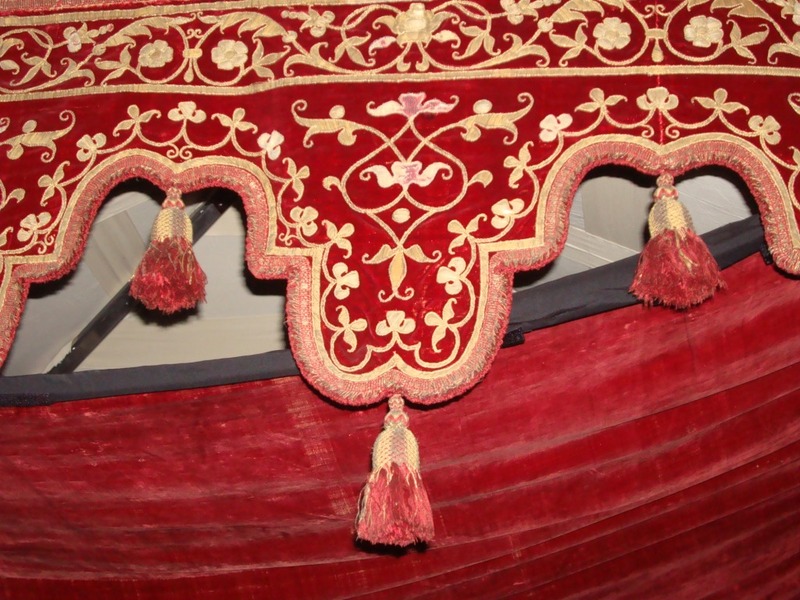 But the Kashmiri embroidery uses wide range of colours on woolen, spun and silk. Suzani embroidery is done on white, cream and beige silk fabrics in silk threads.